The weekend of the 12th and 13th of July looks set to be a big one when it comes to the UK’s extreme sports scene. The Eastbourne Extreme festival is an annual event that has fast made itself a key occasion on the British extreme sports calendar. Set on the attractive Eastbourne seafront, this is an event with a great setting, and which we at Extreme Sports X happily recommend that you take the chance to visit. Eastbourne has something of a reputation as a sleepy, seaside town full of old people, but its usual tranquillity is broken once a year by the arrival of Eastbourne Extreme. This year is set to be the biggest extreme sport event in Eastbourne yet, with a lot of professional extreme sports troupes already confirmed as being in attendance. 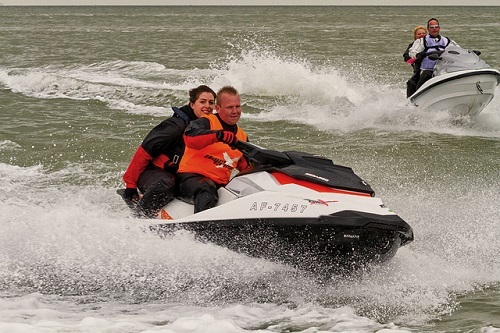 There are a huge number of demonstrations and competitions you can watch should you go to Eastbourne Extreme. You can see a roller derby competition set up by Eastbourne’s resident team, the Bourne Bombshells, which promises to offer as much humour as it will action. You can also see a parkour demonstration by one of the UK’s leading free running teams, Urban Shadows. Or, if you are looking for more unusual extreme sports to watch, there will also be roller hockey, and mountain bike stunts performed by top British biking team MAD. If all of this has made Eastbourne Extreme sound like something of a spectator event, don’t worry, there are also plenty of things you can join in on and try out. There will be an arena for zorbing (that is the sport where you get inside a big transparent hamster ball and are rolled around), and there will also be a chance to try windsurfing and other fun water sports activities. Whatever the age you or your party are, you are going to have a lot of fun at this event, and to make things even better, it is free to come along (though some of the things you can participate in cost money, watching everything that is going on is completely gratis). As well as the chance to view and engage in all kinds of cool extreme sports and unusual activities, this is an event that will also allow you to enjoy the best hospitality Eastbourne has to offer. The organisers haven’t forgotten that this is the weekend of the World Cup final, so you will be able to watch the third place game and the final itself on big screens with what promises to be a great atmosphere. There are also going to be a lot of great places around the festival to eat and drink, so whatever you are in the mood for, you will be able to find it here. 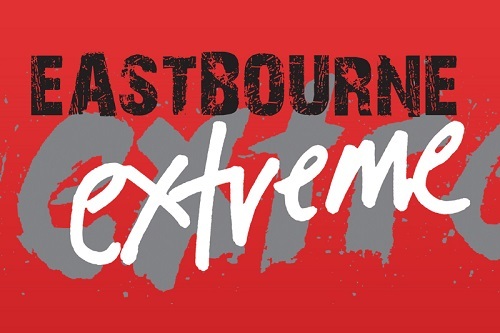 All in all, we think Eastbourne Extreme is a great weekend for any extreme sports fans, casual or, well, extreme. There will be loads to see and do and plenty to make you feel welcome, and considering there is no cost for entry it is a brilliant thing to do with the family in the middle of the great British summertime! Photos courtesy of Eastbourne Extreme and Graham Huntley. This entry was posted in Featured, News and tagged Eastbourne, Eastbourne Extreme Sports Festival, Extreme Sports. Bookmark the permalink.